More about iittala Toikka Ruddy Duck A Museum of Glass bird only available to exclusive North American retailers, the iittala Toikka Ruddy Duck is a limited edition numbered x/300 on its base next to Oiva Toikka's signature. Toikka was inspired by the Ruddy Duck indigenous to the Pacific Northwest, capturing the bird's distinctive blue beak and upturned tail perfectly. The mouth-blown interpetation pays ode to its beautiful brown body with iridsecent glass the two-toned head with speckled detailing.The birds of Oiva Toikka's 2016 collection are individually mouth-blown by the master glassblowers at iittala�s glassworks in Finland. 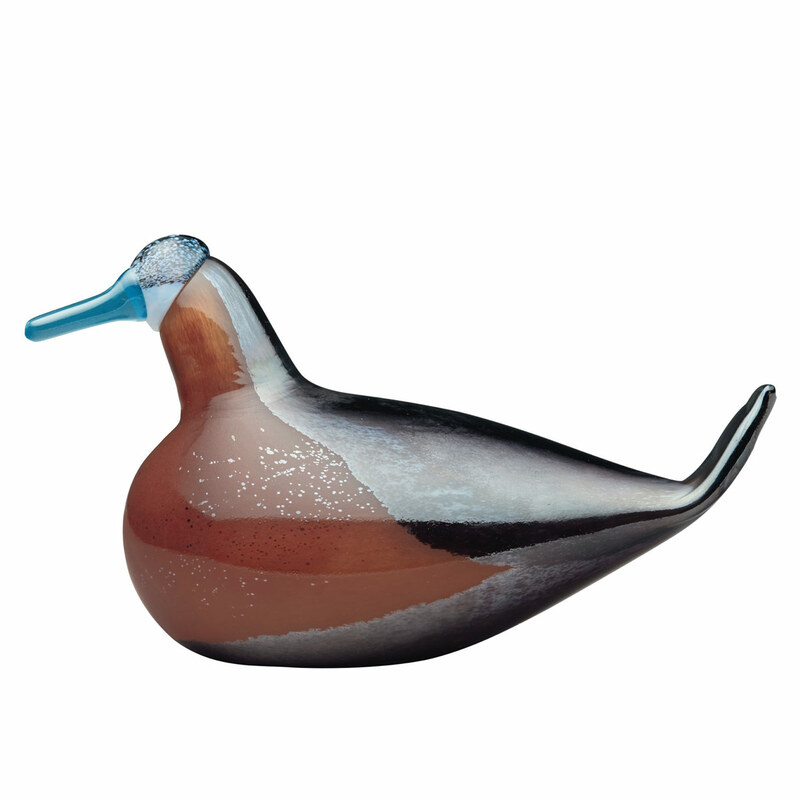 Each handcrafted iittala Toikka Ruddy Duck carries the signature �O. Toikka IITTALA� on its base to ensure authenticity.